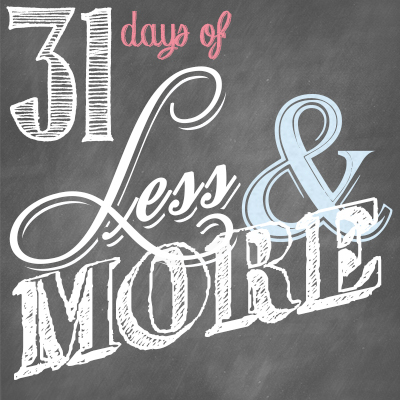 This is Day 2 of our 31 Days of Less & More challenge. To read all the posts in order, start with Day 1, then visit the Overview Page to get a sneak peak of the entire month. Fear–and the power it holds over us–is a funny thing. It prevents us from doing so much for no real rational reason at all. In fact, fear is usually the thing that holds us back, that keeps us from following our dreams or trying something new, even when our abilities don’t. Have you ever wondered why you let it have so much power? Have you ever wondered what you might be able to accomplish if you weren’t so scared? This past summer my oldest daughter—always the hesitant one—spent a lot of time in tears as we tried to teach her how to dive. She was scared. To add insult to injury, her little sister, who only this summer learned how to swim, seemed to attack the water with almost no hesitation at all. After one particularly difficult lesson with Daddy, she ran into my arms, frustrated, upset, and dripping wet. I just can’t do it she cried as I wrapped her up in a towel and sat her down on my lap. Why do you think you can’t do it, I asked gently. What is holding you back? I’m scared, Mommy, she cried, I’m just too scared. I held her there for awhile, trying hard to come up with the right thing to say. Finally I said, Honey, do you know what bravery means? Her head buried in my chest, she answered it means not being scared. I shook my head. No, sweetie, that’s not what bravery means. Being brave means being willing to try something even when you’re scared. Bravery is being scared but doing it anyway. I went on to explain that everyone gets scared sometimes, and that even I get scared a lot. That every time I write something I get worried that no one will like it, or that people will think what I have to say is stupid or boring or just plain wrong. There are a million things we can be scared of every single day, but the only thing we should be scared of is not trying, and not giving it our all. FEAR, YOU CAN’T CONTROL ME! So we yelled at our fear. And at some point during our conversation I realized I was trying to convince myself as much as I was trying to encourage her. Not one of us is immune to feeling scared. It happens most often when we are tired or overworked or feeling insecure, but really it can strike at any time. The key to overcoming fear is not to give in, but to acknowledge it and then to do it anyway. Be sure to read Edie’s corresponding post on More Courage HERE. Check out Crystal’s reflections HERE. Identify one small thing you have thought about doing but have been too scared to do. It could be something as small as trying a new food or a new fitness class at the gym, or perhaps speaking to a crowd, riding a roller coaster, or even confronting someone who has hurt you, whatever it is, write it down. 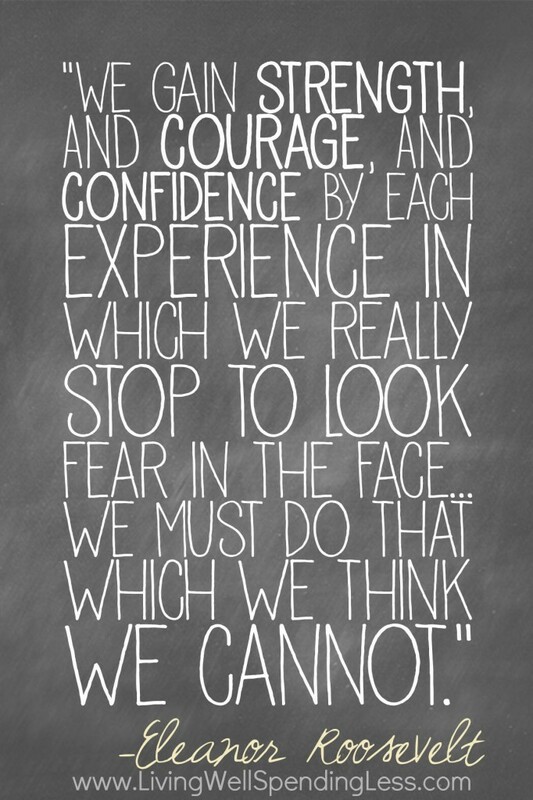 Tell your fear out loud that it can’t control you, that you are going to do this one thing even though you are scared. Then DO IT. Share the fear you plan to conquer in the comments below, or on Facebook. Next, think of how different your life might be if you were courageous for the people in your life. If you were open, vulnerable, tender, kind, self-sacrificing, and compassionate. Think of who most needs your courage today and find a few small ways to show them. Maybe you’ve been fighting with your husband, or yelling at your kids, or maybe you’ve been keeping your heart at a safe distance from everyone in your life. Whoever’s name comes to mind, write it down and list 3 ways you can be more courageous in your relationships this week. Pray for that person everyday and put them right at the top of your ‘to do’ list. See how your thoughts about them change after a week of loving them with courage. What fear will you conquer today? This hit very close to home especially after last night. I bought a long arm quilting machine over a year ago and I am trying to get myself ready to quilt for customers the first week of November. I had my second set of handlebars on order for the past several weeks and got them now over a week ago and I still have practiced my first panto! I was so excited to get them but now I am afraid to use my machine. It is completely silly. I believe that this is where God is pushing me to go. To get out of my corporate job and stay home with my kids and quilt for customers, so why I am scared to do it is beyond me. So tonight, I am going to go home and I am finally going to use those handlebars that have sat in the box for 2 weeks now staring at me mockingly! Thanks for the inspiration to do it! Today I will face my fear about my blog, knowing I am not the greatest writer but wanting to do this so bad because I really do enjoy it all. 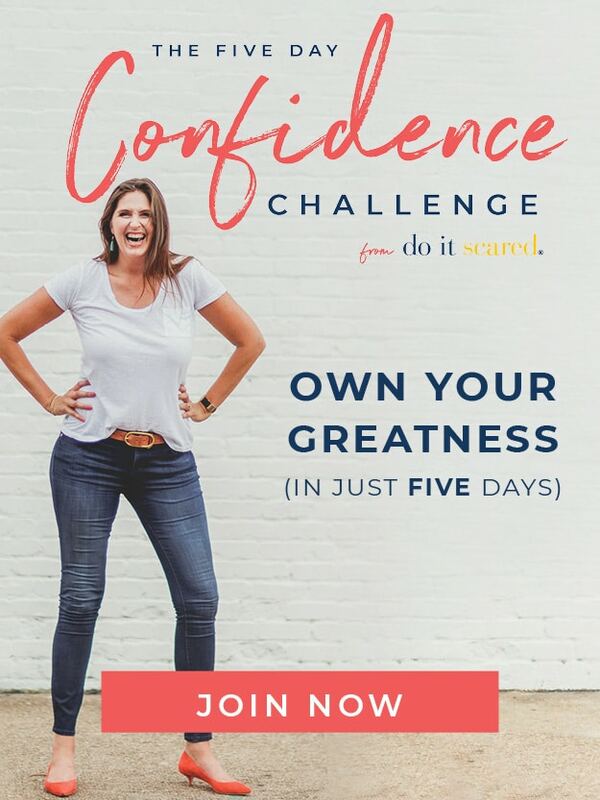 Worried that I “just cant” do it. I will keep moving forward and at least give it my best! The rest is Gods will, if I am meant to do this He will help me along the way. I too have a blog. I started just over a week ago. I’m worried about my writing… it’s not my strong point. But I want to continue doing it. My fear, no one will read it, or give feed back. Since we have the same fear, I hopped over to yours, and I’m now following it on Facebook. You look like you’re doing a great job to me, and your site has given me some great ideas about mine. Thank you! WoW!!! Scary!!! Day one was easy. But, today is difficult. My father always told me ” be courageous & look fear in the eyes”. That has been my motto all my life. I’m going to work in a few things cuz “boy o boy” there’s a lot. Thanks ! My fear is not doing enough with my kids, not enough school work, not enough fun stuff, not enough love and support, not enough talking, not enough verbalization of good things and advice. So this month I’m looking at ways to organize my life, and my time so I have enough room for them. Starting today we are blocking out a big portion of time for one-on-one with each girl, to get homework done, extra work completed, a fun project done together and lots of cuddles. I don’t want to wake up one day and regret the fact that I didn’t try 350% for them!! 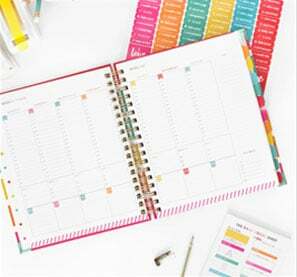 Like most mom’s, I have a fear of not doing the right things for my children… with this challenge, I am mapping out special times for each child, and designating family time for games, swimming, movies, etc. I want my kids to remember their childhood positively. I want them to remember all the little things that made their childhood special. My fear is that they won’t. I know exactly what you mean. It’s funny, I was just thinking earlier about what is standing in my way. At first, I thought, not fear….and then I read these posts. I’m so looking forward to this series. I have a lot to think and write about. I just started a blog a week ago and know that I’m not doing it all right! It took me 2 frustrating days just to figure out how to partially set it up. I’ve posted three times and I just got done telling my husband that it wasn’t ready for anyone to read yet. He just looked at me and shook his head! We can often times be our worst critic so we just have to overcome that and just do it 🙂 Good Luck!! Thanks for the encouragement. I look forward to following along with you. I’ve heard an acronym for ‘fear’ that seems to descibe the word perfectly: FEAR= False Evidence Appearing Real. It has stuck with me all this time–it’s so true. I m afraid of dogs…and really really want to over come it. How I hate fear! It consumes and suffocates! grrr!! 🙂 I will speak truth to my mother. In kindness and love, but with firmness and courage. Lord, help me! I tend to be one that keeps myself apart a little from everyone. I am afraid often to open in with people fearing that when they see the raw, rough, imperfect me that will turn away. I am going to seek to open myself up more to those I love. Love this post! I share the meaning of bravery with kids almost every day in my work; love being able to see children overcome something that scares them. Think it inspires us adults to be brave, too. I am right there with a lot of you.If you let fear in and worry too much then it can consume you.I worry about being a good Mom and I too have a blog that I worry no one will read.My biggest fear though is to put myself out there and meet other Moms.I have been burned too many times!Here is to all of us!May we have success big or small! You are hitting some heavy duty topics and it’s only Day 2. I’m having to really think and pray a lot before I write. I’m excited to see where this leads in my life! I have been trying to live by the motto “let my faith be greater then my fears.” It’s hard but, I’m trying! I want to blog but fear overexposure and failure. I also want to start my own business but I have no where to work due to my “clutter”. Thus, this challenge seemed tailor made for me on more than one level. I am committed to doing the 31 days AND blogging about it. I know this sounds silly, but I am scared to give up procrastination. I don’t know why. But I have been trying so hard to get past it for years! I have horrible time management and the days seem to go by without much getting done. I feel like a failure as a housewife, and I know what steps I must take to remedy this, but I have been procrastinating on giving up the habit of procrastinating. I vow to take those steps starting today! Oh, this is a biggie for me. I have had fears all my life (I am now 68 years young). I drove the adults in my life crazy with my irrational fears when I was little. I would get hysterical when we would have a thunderstorm. My aunt got so tired of the hysteria one day that she picked me up in her arms and took me outside right in the middle of it. I don’t remember this – I think I might have been a toddler. My aunt told me what happened. Although, I still get a little jumpy when there is lightening and thunder right over us, I now watch outside and enjoy it. We live in northern CA (Bay Area) and we rarely get thunderstorms so it is a real treat when I put aside that niggling fear. I was afraid of the dark, of bugs, rats, on and on as a child. I decided to face each fear as it came at some point. I didn’t LIKE that fraidy-cat in me. So eventually, did what you advised, spoke to that fear and then faced it in some way when the time came. I also made a decision when I became a mom not to let my kids know I was afraid nor ridicule them when something scared them (which is what happened to me). As far as thinking about someone, I have an acquaintance who is terribly afraid of spiders and I will be praying for her. I am afraid of not being good enough.. I don’t feel like I am good at anything.. I always say that my kids did not get to choose to be born. I don’t think I give my husband or kids enough. My fear is truly becoming the wife and mother God created me to be. It sounds crazy but, it seems to scare me to the point of rebellion. I know what needs to be done to make this happen successfully but I don’t have the courage to keep up with the demands needed from me. My fear is that I won’t be able to move on after separating from my wife. Fear of seeing her in the arms of another man, Fear of being alone.